The Maxwell-Digital has multimeters with PC Connection since 2003. Our current product line also has more DMMs which you can use with our special software to connect to you Windows based PC. With the application you could monitor and log the measured data in realtime and you could also save it into various formats. Besides that every data can be shown on a chart which could be also exported. 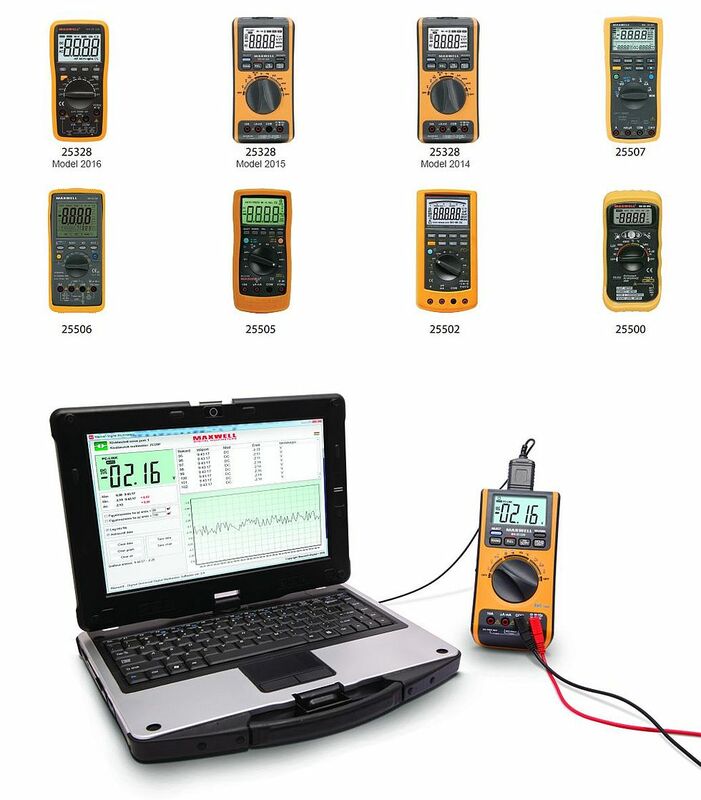 The universal software is compatible with all Maxwell-Digital Multimeters, this way you can use the new features of the software with your older DMMs. The data connection is achieved via a serial or USB cable. Most of the cases there is an optical converter between the device and the cable to eliminate the potential electronic noise.